Mark your calendars for our fall Sand and Finish classes! Your busy summer schedule is in full swing, so we’re thinking ahead to fall! Whatever your experience level, the latest class offerings by Vermont Natural Coatings and Norton Abrasives provide you and your employees with continuing education opportunities led by expert instructors. To sign up or for more information, contact Audrey at ahix@vermontnaturalcoatings.com or 802-473-3292! This class is targeted to experienced flooring professionals who want master advanced sand and finish techniques using Norton abrasives and PolyWhey. Machine maintenance and repair instruction as well as application techniques with custom colors and will be included. As Vermont’s renowned fall foliage season intensifies, you’ll also have the chance to explore the sights, tastes and experiences that make the state renowned worldwide. RSVP by September 5. Read the itinerary here. Flooring professionals of all levels are invited to join us for 3 days of hands-on sanding and finishing training. Tap the expertise of NWFA certified experts on equipment use and maintenance and choosing the right abrasive and finishing techniques to yield high quality results. 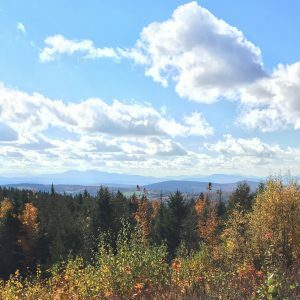 Enjoy some of Vermont’s most beautiful sights at the peak of foliage season. RSVO by October 3. Read the itinerary here. Participants will earn their Lagler PST Certification in addition to covering the topics from the Advanced Sand and Finish School taking place at the Lägler North America headquarters. RSVP by October 17. Read the itinerary here.